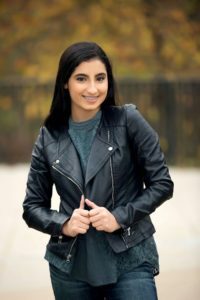 After one year at Capital’s main campus, 16-year-old Danya Hamad will be moving to the law school to finish her undergraduate degree and start her law degree, which she plans to finish at 19 years old. As far as Hamad knows, she’s set to be the youngest lawyer currently practicing in America. The youngest lawyer in American history was Stephen A. Baccus, who graduated from the University of Miami law school at 18 in 1986. Although she’s only spent one year at Capital, Hamad said she’s enjoyed her classes, her professors and the people on campus. “It’s kind of sad that I’m going to the law school next year, and I won’t really be on this main campus that much,” Hamad said. 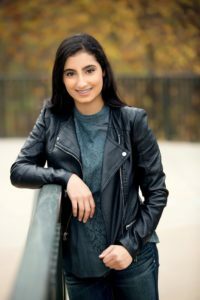 Although she hasn’t gotten involved in any clubs due to her work load from classes, Hamad will be an orientation leader and worked on the student hearing board this year. Hamad chose to come to Capital to participate in the 3 + 3 program, which gave her the ability to complete her bachelor’s and start her law degree in the same year. Since Hamad came in as a junior, she’ll only spend four years completing her bachelor’s and juris doctorate degrees rather than seven. Hamad’s education is already going to be short, but she says she’s always looking for ways to make it shorter. Hamad said she owes her success to those who have helped her. “Without my friends and family, especially my family, I don’t think I would have been able to do any of this,” Hamad said. Hamad added that she’s especially thankful to her mom, who drove her to and from Reynoldsburg High School and to her classes at Columbus State. “She’s always been there when I was having a tough time … and been there to support me and encourage me and tell me, ‘Yes, you can do this,’ even when I think I can’t,” Hamad said. Last summer Hamad had an internship with a worker’s compensation and personal injury lawyer. This summer, Hamad hopes to focus on learning more Arabic. She’s already able to understand the language and can respond in English, but she hopes to grow more comfortable with responding in Arabic, as well as with reading and writing. She also hopes to get an early start on reading for law school and possibly work in another internship. Although classes have been relatively smooth, there have been a few bumps in her path to graduation. Hamad said people online have criticized her for her age, saying no one will hire a 19-year-old lawyer, but she doesn’t think this will be an issue for much longer. Hamad faced another bump when she realized she was missing one credit needed to transfer to the law school. In order to go into the law school, a 3 + 3 student has to have 100 credits, and because of a cancelled class, Hamad only had 99. By taking and passing a CLEP exam at Columbus State, she was able to gain three credits and will be able to transfer next year without a problem. Capital’s law school specializes in family practice and litigation law and doesn’t have a focus in Hamad’s area of interest: international human rights law. She hopes to receive a Master of Laws degree from Columbia University’s human rights institute. She said she may consider getting a doctorate as well. “I love school and I love learning, so I’m pretty sure I’m going to further my degree,” Hamad said. Another big role model for Hamad is her mom, because “she’s given up everything for her kids and family,” and she’s thankful for everything her mom has done for her. “I don’t even care if my mom is a lawyer or not, she’s my role model,” Hamad said. Besides being the youngest lawyer in modern America, Hamad has another lofty goal in mind: winning a Nobel peace prize. “When I set my mind to something, I will not stop until I achieve that goal,” Hamad said.